You can easily make some nice jewelery simply dipping the piece into paint, or use spraycans. You can make beautiful and vintage jewels like necklaces, bracelets, earrings...you can use even horses or other pieces. 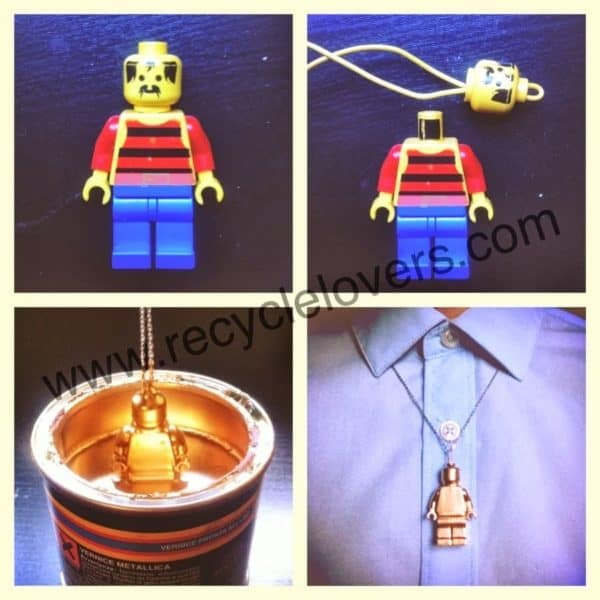 Another Lego jewels idea was presented on recyclart here ! What to Do with an Old Basket Ball ?